Within Tolerances – Floating Goose Studios Inc.
“Within Tolerances” Showcases James Holdsworth’s response to “Off-Modern” theory, as it might pertain to his home town of Adelaide. The notion that a building’s ‘programme’ (design requirements or practical purpose) might be partially documented through photography serves as a catalyst for this body of work. 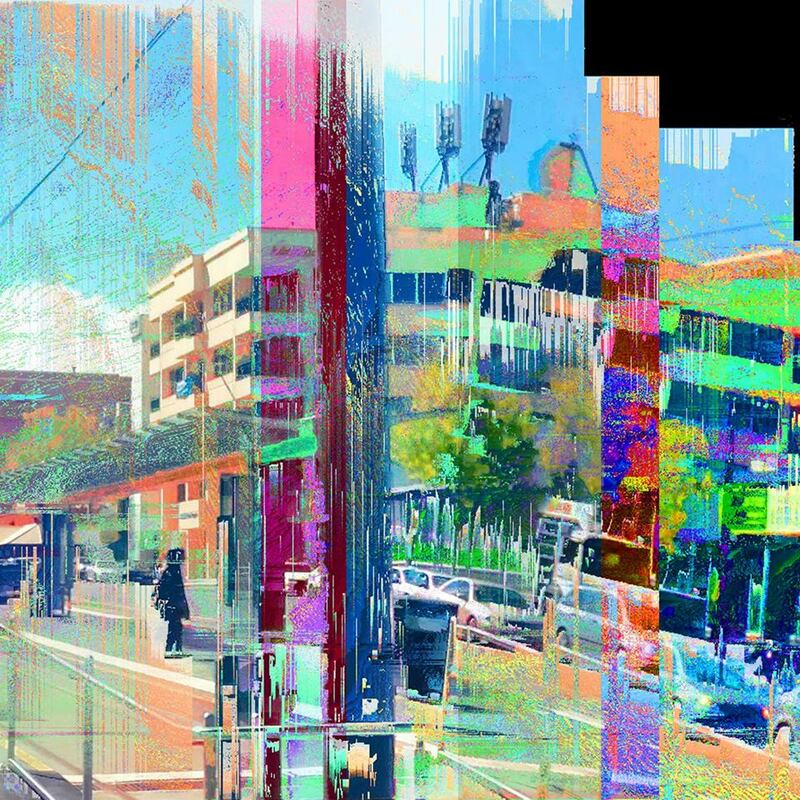 Photographs of Adelaide buildings are taken, then deliberately ‘glitched’, or conventionally broken through digital processes, making the images malfunction as documentation: The can evoke, but not prescribe the qualities of their subjects. As the imagery is free of any reliability so the viewer is free to speculate amongst the bashed data and drifting pixels upon future and past programmes of the city: conjuring alternative timelines of not-Adelaide.